GettyMichel Barnier and Theresa May. Irish Prime Minister Leo Varadkar has urged Theresa May to come up with a solution for the Irish border problem “as soon as possible” as the Brexit deadline approaches. The EU and UK must agree on a backstop for protecting the frictionless Irish border. 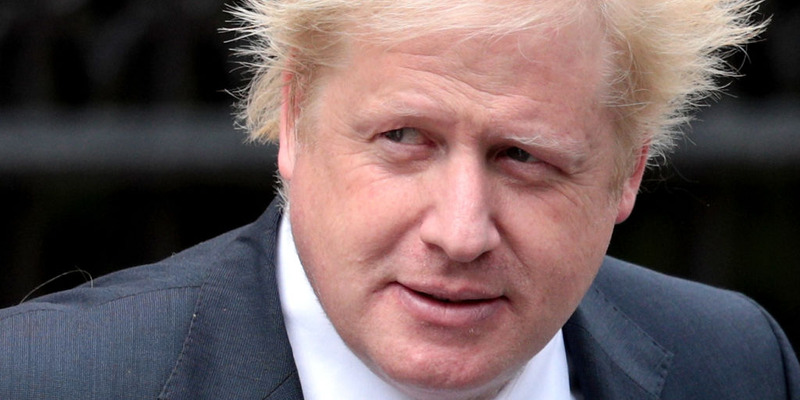 Brexiteers like Boris Johnson believe a comprehensive free trade deal will fix the problem. But any free trade deal must come with a backstop. 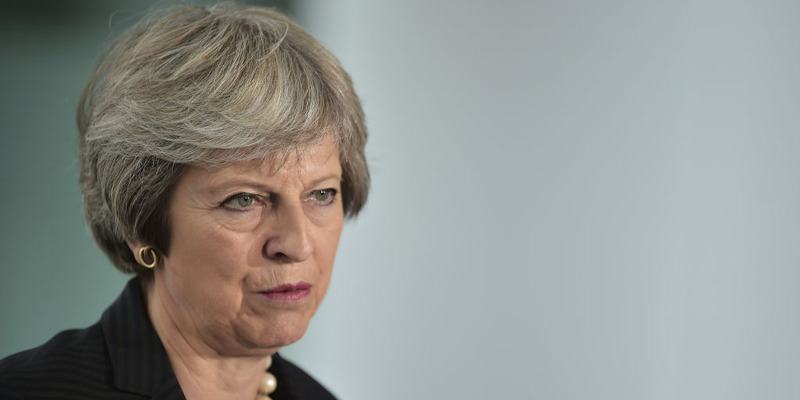 Prime Minister May might be about to make some big concessions in order to get a deal. LONDON – The EU’s chief Brexit negotiator Michel Barnier will meet with Northern Irish politicians on Friday as European and UK negotiators try to reach an agreement on how to preserve the open Irish border. The European Council’s next summit, where the Brexit deal was originally supposed to be signed off, will take in place in less than two weeks time in Brussels on Thursday, October 18. Whether there will be a Brexit deal hinges on the Irish backstop. Irish Taoiseach Leo Varadkar has urged May to publish her Irish border proposal as soon as possible. “We want there to be decisive progress at the October summit, so that allows us to seal a deal in November,” he said. The EU is clear that without an agreement on the backstop there can be no deal, a chaotic and economically damaging scenario both sides are keen to avoid. So what is the backstop, why is it so central to the Brexit negotiations and is a solution likely to be found any time soon? 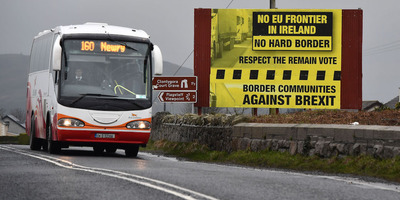 All sides are determined to fully preserve the Irish border in its current form because it is a key part of the Good Friday Agreement peace agreement which ended years of bloody conflict on the island of Ireland. And what’s the sticking point? The EU’s position is that the backstop should involve Northern Ireland and Northern Ireland alone effectively staying in the customs union and single market. This would preserve the frictionless trade of goods across the Irish border. 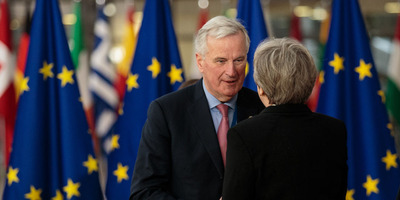 The EU is wary of letting the entire UK stay in its institutions during the backstop as it could be a backdoor to a really cushy arrangement for the UK in which it would enjoy the benefits of EU membership but not the obligations. However, up to now, the UK government has been totally against this idea, because as it believes checks between Northern Ireland and the rest of the UK – or “a border in the Irish sea” – would undermine the integrity of the UK. It would also almost certainly be voted down by the DUP, which props up May’s fragile government. The DUP is Northern Ireland’s pro-Union party and says it will not countenance any divergence between Northern Ireland and the rest of the UK. Timing has also been an issue. The UK government originally wanted any backstop to be time-limited, meaning it will come to an end on a fixed date. The EU thought this was a really silly idea because a backstop can only be effective if it remained in effect until it was no longer necessary, not until an artificial end date. And so for months, the UK government has struggled to produce a backstop proposal which simultaneously protects the Irish border, preserves the integrity of the UK, and pleased the red lines of both itself and the EU. GettyBoris Johnson has called for the backstop to be scrapped altogether. Leading Brexiteers like Boris Johnson and Jacob Rees-Mogg believe a “Canada plus plus plus…” free trade deal will be comprehensive and deep enough to avoid the need for any new checks on the Irish border. A “Canada plus plus plus” trade deal, in theory, would be an agreement covering the trade of goods – like the trade deal between the EU and Canada – with add-ons in areas like security and foreign policy. Johnson and co were chuffed on Thursday when Donald Tusk, the European Council President, said that this sort of trade deal was on offer. Former Foreign Secretary Johnson said it was a “superb way forward” in a tweet. However, they overlooked two key points. Firstly, Tusk said this has been the EU’s offer “from the very beginning” – and he’s right. An ambitious free trade deal has always been on the table. But it must respect the EU’s red lines. And secondly, even a “Canada plus plus plus…” deal must come with a backstop. The time needed to negotiate this deal would likely be beyond the proposed 21-month transition period. Futhermore, even if eventually signed, the UK may decide to water down the deal in the future, in order to diverge from the EU. The EU wants a backstop in place to cover all bases. No ifs, no buts. Does May have a solution? The UK government might be about to offer big concessions in an attempt to reach a deal on the backstop. According to reports, Prime Minister May is preparing to put forward a new backstop proposal. This would be the whole UK effectively staying in the customs union and Northern Ireland alone sticking to single market rules. Would this work? In theory, yes. Under this model, Northern Ireland would maintain full alignment with the EU’s customs and trade arrangements, meaning its border with the Republic would remain frictionless and open. Would it be accepted? That’s a different question. Though Brussels may accept this proposal, it would be much tougher sell for May back in Westminster, where key players would probably hate it. Firstly, there’s the DUP. This reported new backstop proposal would create new checks between Northern Ireland and the Republic. DUP leader Arlene Foster warned earlier this week that she would not accept this. And then there’s the Brexiteers. As long as the UK remains in a de facto customs union with the EU, its ability to sign new trade deals with other countries would be limited, as it would have to stick to the EU’s tariff regime. Plus, it is government Brexit policy to completely leave the customs union. The problem facing May is clear. Even if she manages to finally reach a deal with Brussels, convincing a majority of MPs – including the 9 DUP MPs who keep her government afloat – is a completely different matter. If she succeeds to do that then a successful Brexit and her survival as prime minister becomes a much more likely prospect. If, on the other hand, she fails, then all bets are off.